The International Car Forest, in Goldfield, Nevada, is an art installation where a variety of cars are buried in the desert in a variety of ways. The International Car Forest, in Goldfield, Nevada, is an art installation where a variety of cars are buried in the desert in a variety of ways. 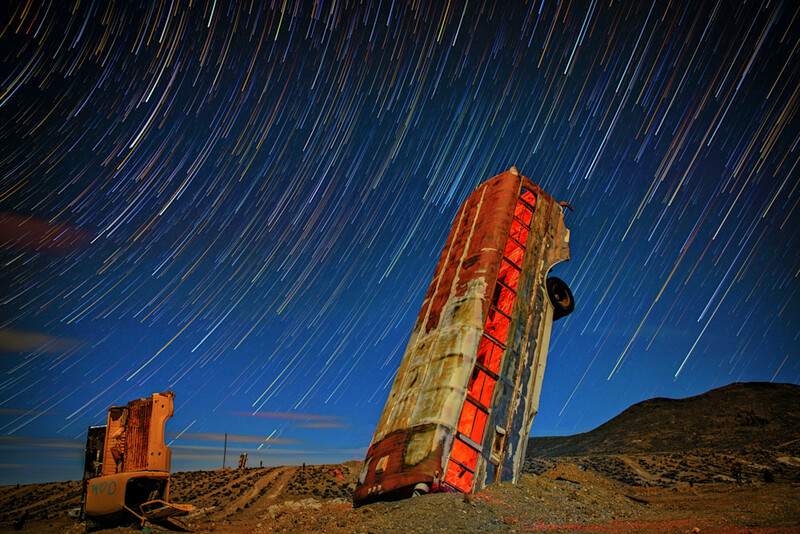 This image was a series of exposures taken at night to capture star trails over the vehicles in the area.